Photo courtesy of Al Erickson. Today’s headline: Frodo Baggins was last seen honorably using a one-three shampoo on his head and shoulders above normal naperies! I had one for supper after cleaning oil stain and surprisingly, it’s very delicious. I’m trying to keep away from being rotten and mouldy all my life, but when it’s gonna finally happen, well… there’s no way I will be able to return to original color. I have pushed the rotten slurrv into the water, now I feel safer and healthful. I was clear on all of it until “hunging”. Is there anything this froduct will not do. 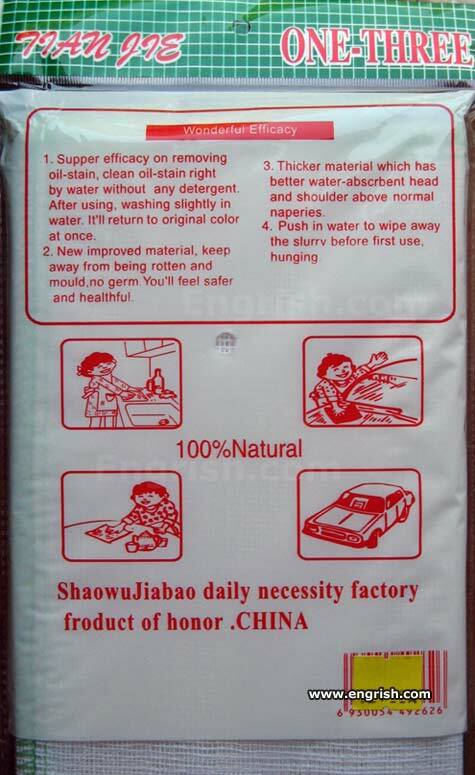 Rinse the hunging slurry from your baby’s napperies with this fine froduct. Hmph! In my day honor was honor and wipes were wipes. Safer and healthful? HA! We lived dangerously and liked it. 100% Natural…? I’m all Head and Shoulders! Froduct? Are these the people who make Frogurt? Just watch out for those extreme naperies. They’ll kill ya…. Daily necessity must not be confused with supper! Water absorbent heads? That explains why some heads can be so dense ! I can’t argue with its efficaciousness. Is hunging slurrv water abscrbent? @Seventy2rd o clock: It’s effervescent! Faster than a sfeeding bullet, more efficacious than a normal napery, and able to remove oil-stain in a single wash…It’s a bird! It’s a flane! No…it’s Supper Cloth! girl: nice to meet you. me: sure, its my forduct of honor to meet you, too. …And I’d like to fuy 1 of that froduct, flease. I’m sorry, I was just at the dentist and now I can’t sfeak well. I want to work at a daily necessity factory. I can make good froducts!!! Girl: wow, your really hunging! Me: Yup, just hunging out. ZEN MASTER: A Daily Necissity prayer. Keep away from Rotten….Be a Froduct of Honor, HUNGING AWAY from the Slurvve on Naperies. BE SAFE and HEALTHFUL, to your ORIGINAL COLOUR. Clean an oilstain in proximity to water? How come I didn’t see Louisianers using these after the Deepwater Horizon spill?